Our Cloud-based Construction project management software delivers essential efficiencies to hundreds of members in one of the world’s oldest industries. Leading construction firms around the globe are compressing timelines and maximising budgets through the use of our simple to use centralised system, allowing them to control information and processes across their entire project portfolio. 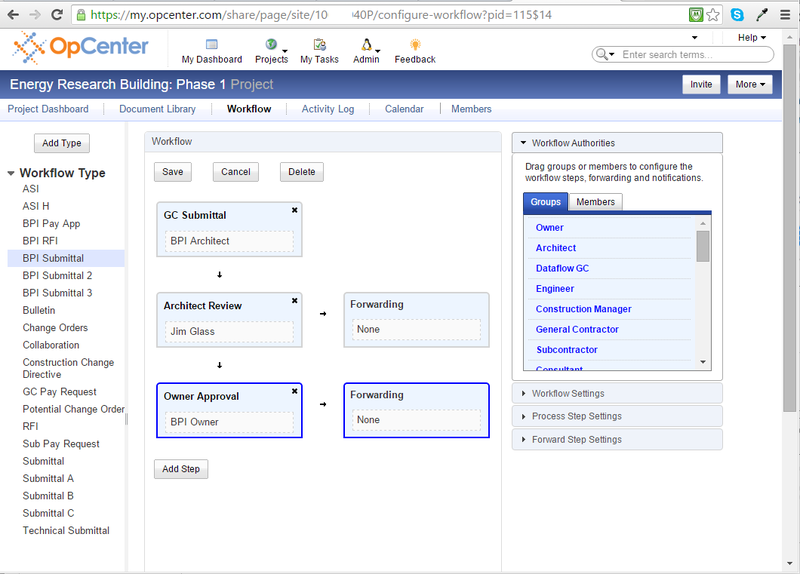 OpCenter Builds construction project management software provides transparency, structure and control from project inception through close-out, handover and operations. Single point of reference, accountability and data capture. 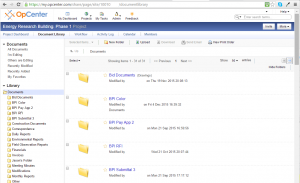 Permission based document distribution and revision control. Processes and managed approvals, RFI, submittal and drawing mark-up. Construction Project Software. Who benefits? Benefit from total project visibility, identify issues before they become problems that lead to costly overruns. Archived handover documentation compiled digitally in the cloud, as-built, and as work is completed. In cloud information to coordinate processes between project managers, consultants, subcontractors, clients & owners. Powerful customizable workflow tools for submittals, RFIs, change orders/variations and many more standard processes. Provide all project parties such as subcontractors and trades with accurate, up-to-date information to minimize delays and disputes. 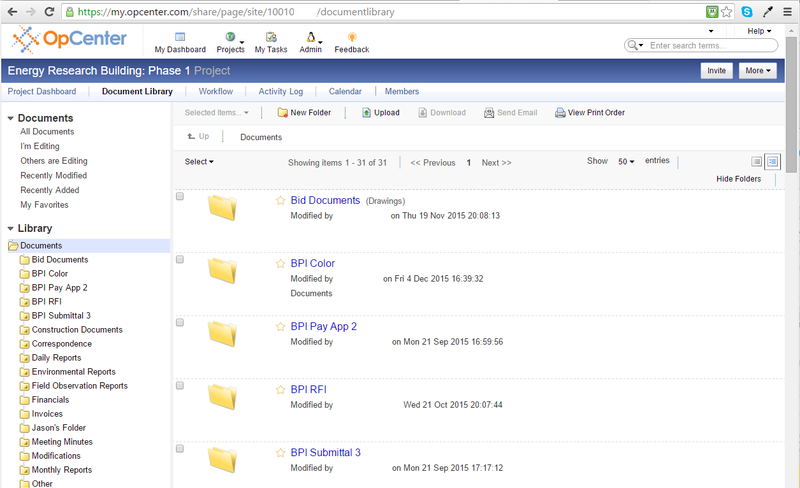 Highly secure permission based document management system with revision control and audit trail. All participants on a project manage information and processes on a single centralised common data environment, from design and feasibility, through construction and closeout to handover. 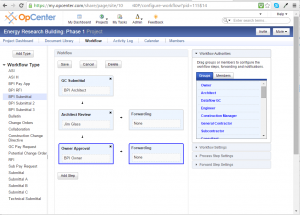 Many of our customers utilise OpCenter construction project management software across all their projects, working with many different clients and project teams. Why use Construction project management software? The construction industry whether commercial, residential and government relies heavily on organization. With so many fluid aspects, organization has always been the one characteristic that separates successful and profitable specialty contractors, general contractors, or construction management firms from those that struggle and fail. Attention to detail prevents projects from budget overrun through frivolous purchase orders, or from running over completion time because of poorly-timed inspections and submittals. Multiple companies and contractors need to collaborate together to complete a single job and inter-company organization can be difficult. Construction project management software serve as a single centralized solution. It’s inevitable that innumerous documents will need to be exchanged between collaborating businesses over a project lifecycle. In the early stages, RFIs will be passed between the contractors and the contracting organizations, submittals will be proposed as the site is assessed and material needs are outlined, defined and then refined. All parties must have the most current version of the contract to hand. Our construction management software allows you to eradicate your overflowing paper mountain by storing and transmitting all documentation electronically. Electronic document management enhances communication between all parties allowing for a far more comprehensive oversight of all project pertinent information. Change-orders are handled with ease within our project management system, we allow users to submit photos to the data store or attach them to change-orders, eliminating any doubt or confusion about the order. Users will have significant or unlimited storage space as specified, as well as comprehensive permission settings to control which users can access which documents. It’s this sort of attention to detail that directly contributes to budgetary control, as purchase orders become more visible and traceable and change orders don’t get lost in a sea of similar documentation on a management desk, or an overflowing email inbox.